Walla Walla, located in the southeastern region in the state of Washington, is the largest city of Walla Walla County. The city experiences hot-summers with a low annual rainfall. This city is also called Wine capital of Washington due to its numerous vineyards and wineries. 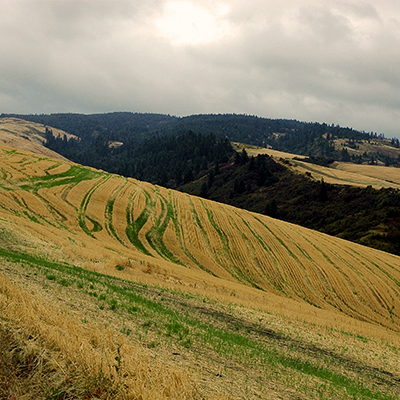 Hop-on a cheap flight to Walla Walla to explore its natural beauty. The city is served by Walla Walla Regional Airport. This is the kind of the charming little city that gives you a break from your crazy hectic life and offers you a chance to unwind and feel rejuvenated. Good food is an important part of a great vacation. Here are the places where you can satisfy your food cravings- Clarette's Restaurant, Brasserie Four, El Sombrero Mexican Restaurant, Whitehouse-Crawford, T Maccarone's and Saffron Mediterranean Kitchen. Fort Walla Walla Museum - Fort Walla Walla Museum is an expansive museum which is located on 755 Myra Rd. This museum showcases the pioneer settlement of the region with 17 (original) cabins, livery stables, schools and many other things. Fort Walla Walla Park - This is the largest park in the city. It features horseshoe pits, an amphitheater, sand volleyball court, picnic area, model car track, a bicycle trail, skate park, model airplane field and bicycle motocross track. Whitman Mission National Historic Site - This historic site is located near the Walla Walla River. The site tells us about the Marcus and Narcissa Whitman, the local Cayuse people, and the series of events that led to the Whitman Massacre in the year, 1847. Wine Tasting Tours - One thing that wine lovers just can't miss while visiting Walla Walla are the Wine tasting tours offered by the wineries of the city. Walla Walla is blessed with the right weather and soil conditions that allow rich grapes to be grown in the valley. The best wine tours are offered by Tesla Winery Tours, Walla Walla Valley Tours, Black Tie Wine Tours, Imbibe Wine Tours, Walla Walla Valley Wine Alliance and Forgeron Cellars Winery & Tasting Room. If you're looking for low cost flights to Walla Walla, then Lookupfare is exactly what you need. Go through our website or app to find the flight deals that best suit your travel requirements. Our travel portal also offers special travel deals such as Senior Travel Deals, Group Travel Offers, Family Travel Offers etc.